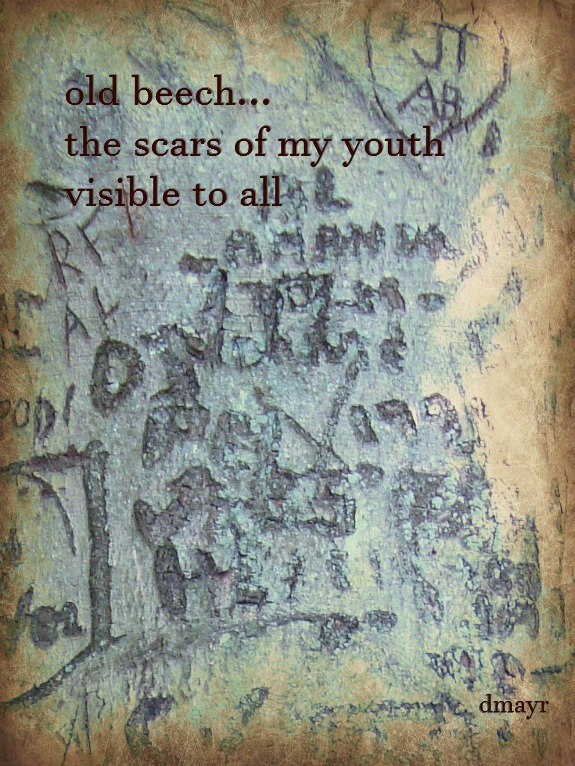 I've used the old beech tree photo in this haiga, too! The haiku was my free format entry in the September 2015 Shiki Kukai. I'm finished with beech, but I'll be back with one or two beach haiga before winter sets in.